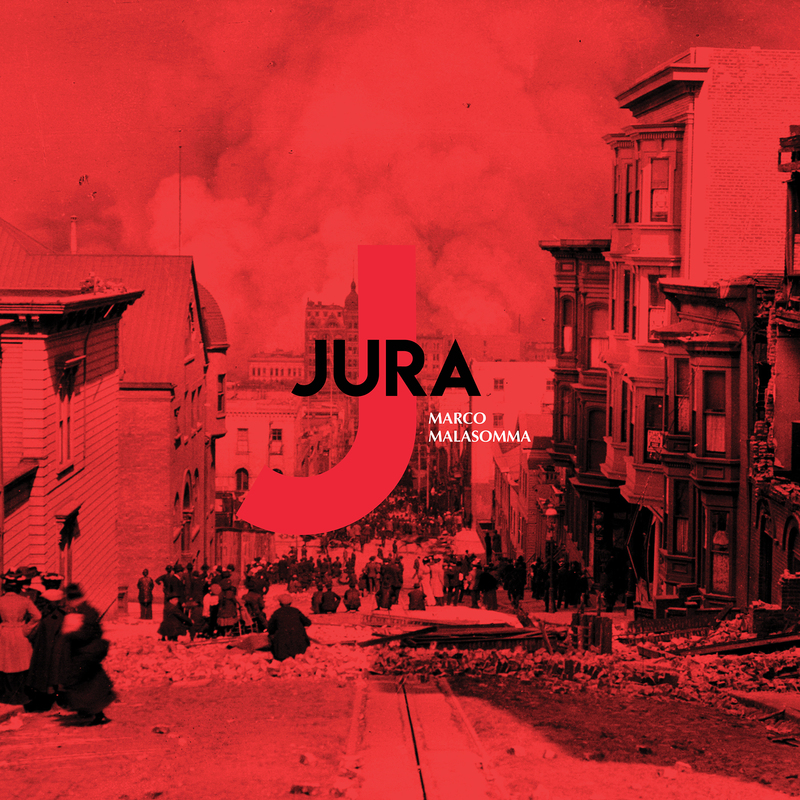 Stochastic Resonance is pleased to present JURA the latest work by Marco Malasomma (composer, percussionist and electronic musician). The work is configured as a concept album that, taking its name from the island where George Orwell concluded the writing of the famous novel “Nineteen Eighty-Four”, draws parallels with it; revolving around two discursive threads: a reflection on modern society and a analysis of the role of the artist’s place of residence, while in the act of artistic creation. JURA, a remote Scottish island, in fact, represents for the artist an ideal escape place in which to find oneself, one’s own humanity and one’s critical thinking far from the pressures of society. It’s not an easy place, though, JURA. It is isolated, impervious, harsh, so much that at that time, the already precarious conditions of Orwell worsened up to Tuberculosis. But it is also the place where there is the opportunity to analyze and describe the world today with a lucid and detached look. From this basis, Malasomma creates an association and continuous parallels between the Orwellian vision arising from remote place both in time and space, and the modern times; where the information is in a continuous present, distorted and simultaneously proposed in antithetical thesis and concepts, which are able to remove critical thinking and perception of oneself and the surrounding reality. The music follows this vision: in fact, it varies from drone/ambient atmospheres, to tribal rhythms, arriving to tracks with a strong electronic matrix; where ambient sounds meet, acoustic pianos and tight rhythmics. In this way, the martial gait of the clapping hands, winking at the minimalism of Steve Reich, is contrasted with ‘layers of memory’ formed by echoes of voices and distant noises. The record, produced by Stochastic Resonance in a limited edition of 300 copies edited by Italian-Argentine designer Jime Ghirlandi, is characterized by a clear electronic matrix, but in which the element of acoustic sound is strong, thanks also to the musical interventions by Salvatore Dante (didgeridoo), Giovanni Todisco (symphonic timpani) and Tita Tummillo (vocals). The titles of the 8 tracks are in ‘neolingua’ (newspeak), a language used in the Orwell novel to inhibit the ‘old mental habits’ and make every form of thought impossible.